This was a sensational Men's World Championships, held outdoors in a huge amphitheatre in central Singapore. 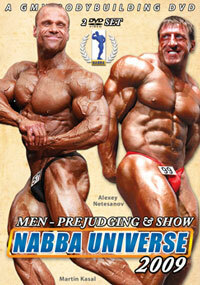 I took a group of enthusiastic Adelaide bodybuilding fans to this contest as tour leader. 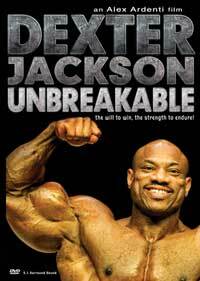 It was an experience of a life time for all of us. 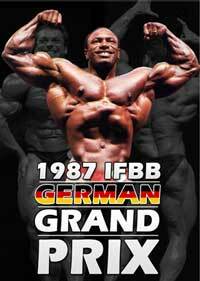 In the heavyweight class it was a battle of the giants between a young, ripped and superb Berry DeMey, a mature and sensational Bob Paris and a huge Ralf Moeller of Germany who ended up in third place. 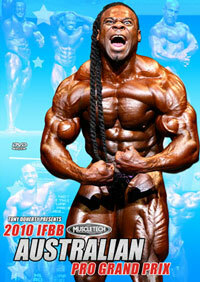 Ralf literally dwarfed the others during the posedown. I do not know how close it was on the judges' sheets but in my mind it was a toss up and could have gone either way between the top two. Chuck Williams and Charles Glass, both from USA proved to be very strong and convincing winners of their respective classes as was Appie Steenbeek from Holland and Herman Hoffend from West Germany. Christian Janatsch, 4th place heavyweights, made a strong showing and was there with his girlfriend Rachel McLish, Ms Olympia. 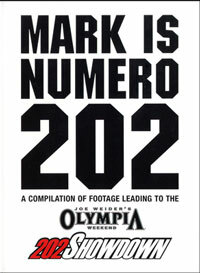 Rachel guest posed and her routine is included in this Finals Show DVD. After the contest was over, I approached the 3 USA class winners, Paris, Williams and Glass to arrange video and photo shoots next day at our hotel poolside. 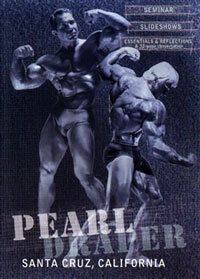 Sadly Bob Paris declined but Glass and Williams more than made up for it, turning on a sensational display of hard, ripped 100% in condition muscle for my cameras. 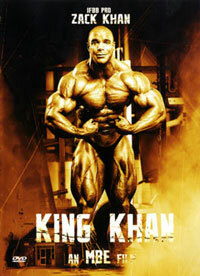 To see this shoot which is now PCB-005DVD, please click here. 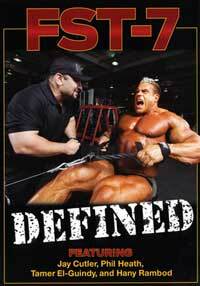 This evening show DVD brings you all of the highlights from the show, all the posedowns and all the awards. 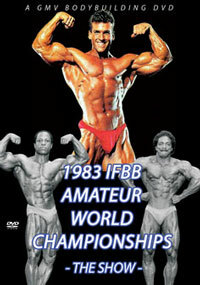 93 minutes of the best amateur IFBB bodybuilders in the world! 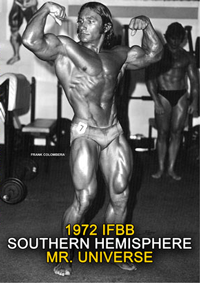 Many of these great bodybuilders now belong to the Golden Era of bodybuilding. 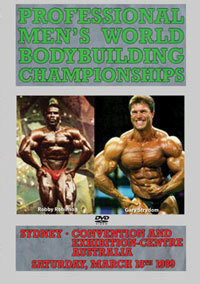 The Prejudging from this contest can be seen on PCB-265DVD. Please click here.